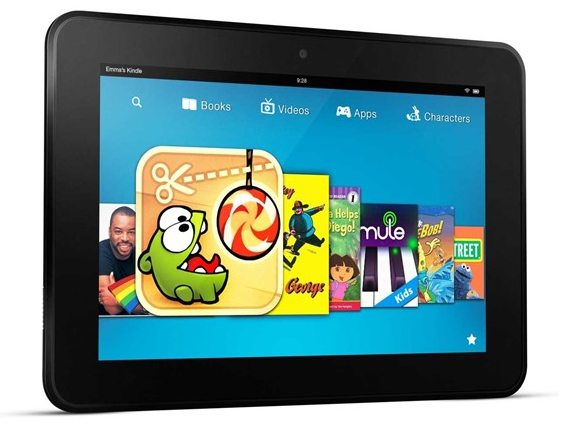 Today (5/3) only, Woot offers the refurbished second-generation Kindle Fire HD 8.9" 32GB WiFi + 4G LTE Android Tablet with Special Offers for $44.99 with $5 for shipping. It runs a heavily-modified version of Google's Android OS and sports a dual-core 1.5GHz processor, 8.9" 1920x1200 HD display, and 32GB of internal storage. Note: A 90-day Woot warranty applies and while these units have been inspected and restored to fully working condition by an Amazon technician they are labelled as "used - good."